One of the best predictors of the future is the past. Do your homework to find out other people thought of their services. Did the final product meet or exceed expectations? Was the project delivered according to the initial timeline? Did the Prezi designers keep the client up to date throughout the project? Get a feel for who you will be entrusting your project to by conducting phone interviews. Does the Prezi designer take on projects of your size? Can they provide a few examples of past clients who may have had similar needs to yours? Will the Prezi Design company outsource your project, or work on it in house? This last question is important to understand, as you will want to make sure that you are able to speak to your Prezi Designer and ensure that they fully understand your vision when developing your presentation. This may seem like an obvious point, but often times people end up starting a project which one budget in mind, and the final invoice turns out to be a surprise. Ask your Prezi design company for an estimate in a few different price points so that you can compare your needs to your budget. A good Prezi Design company should be transparent with their hourly rate, and make sure that you are aware of what they can deliver for your budget. Be aware of those who promise you everything without delivering you an estimate. 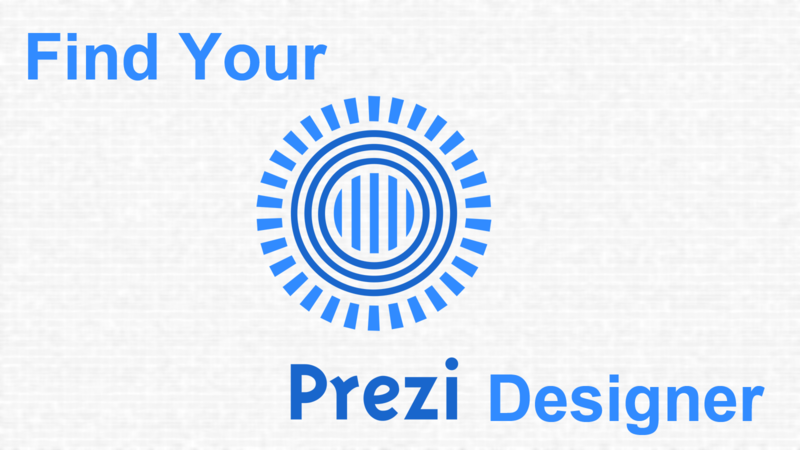 Have a look at Prezi’s that your potential Presi Design company has already delivered. Do any of them suit your presentation style? If not, have a search on the internet for Prezi’s that you like and ask your design team if they could deliver a similar Prezi? A great prezi design company should be able to provide you with some samples or a mock up of your presentation so you can get a feel of what the end product will look like. Ho do you know if your Prezi Designer is going to be able to understand your concept, and represent it well with an amazing presentation? Shouldn’t they spend some time learning about what you do? Make sure that the design process includes some time to consult and collaborate with you on your project. Ask your designer if they understand the deliverables of your presentation. Although your Prezi designer is not going to be an expert on your topic, they should at least be able digest the information you are presenting, and be able have an educated conversation once reading your material. Design collaboration is the best method of tailoring your presentation to your exact needs. Throw out the lowball bid. When it comes to representing you and your company, the last thing you want to do is invest money in a contractor desperate for work. They are bound to cut corners, to try and get your presentation completed. 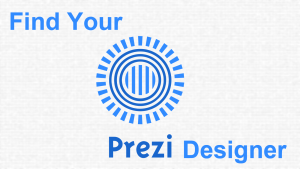 You should feel comfortable with your choice in Prezi Designer. If you are going to pay for a service, make sure that it is top quality, and that your end product surpasses your expectations. You need to be able to trust that your Prezi Designer is going to deliver your presentation on time, meet your project needs, and deliver you quality service even after your transaction has been completed. You want make sure that you are covered for any last minute changes, and even tech support needed for the big day. Finding a company to help your presentation stand out from all the others is a not an easy task. Make sure that you choose a presentation design team that eliminates your stress by communicating with you every step of the way.